If you are an entrepreneur for a start-up or an already established business person, your LinkedIn profile is the primary source of attraction for candidates seeking to work for you and a valuable source of information for clients who wish to work with you. When you create a LinkedIn profile for business, you need to make sure you give all the possible information to everybody and accurately too. Mention all your contact numbers at the right places. The first place is the Summary, which is visible even on your Public URL to those who are not connected to you. You should include it on role descriptions, contact information and Advice for contacting us sections as well. Try to include everything from Address to Email address to Phone no. Besides, also add your Twitter handle and website URLs. Upload files, links and documents including Presentations that talk elaborately about your business. LinkedIn allows users to add this on Summary and every role description and in other sections too. So make sure you use it effectively to design a LinkedIn profile for business success. Optimize content, position titles: This is a must for making sure you remove all the unnecessary, redundant information from your profile. Besides, consistent job titles and roles ensure that you receive invitations from the right kind of people. Connect, connect and connect: Do this every day without fail. Make sure you send out at least 10 invitations per day. So this means, in 365 days of a year, even if you send out 3000 invitations on an average, at least 50% would accept your invitations and bingo! You have at least 1,500 connections. If the rate of acceptance is higher, the benefits are even higher and over a period of 3 to 4 years, you could have a huge list of leads set up at absolutely no cost. Have a LinkedIn Business Page: This is a must for all businesses seeking to build a professional reputation. The Business page should have precise information about the business, must contain keywords and all contact information and also images and logo optimized for readers. Updating this page is also a must so that you get more followers. 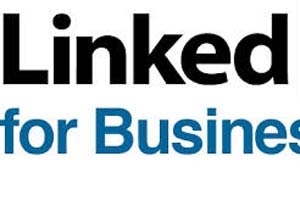 There are many more things which are required to have a complete LinkedIn profile for business. However, by fulfilling the above 5, at least 40% of your job is done. Keep checking our blog for more tips! For buying our LinkedIn profile writing service, click HERE.